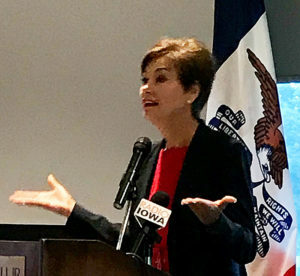 Governor Kim Reynolds says she is open to discussing creation of a state-level system to confirm people applying for work in Iowa are U.S. citizens or have some sort of legal residency status. “I know there are some states that have done that and it’s been challenged (in court) and they’ve been successful,” Reynolds says. “I think truly what would be the best would be a federal system.” Investigators say the 24-year-old accused of murdering Mollie Tibbetts applied for work at a dairy farm near Brooklyn using someone else’s Social Security number. Yarrabee Farms confirmed with the Social Security Administration that the number was valid, but did not use the federal E-Verify system as a cross-check. “They have to feel confident in a system that we’re requiring them to use,” Reynolds says. 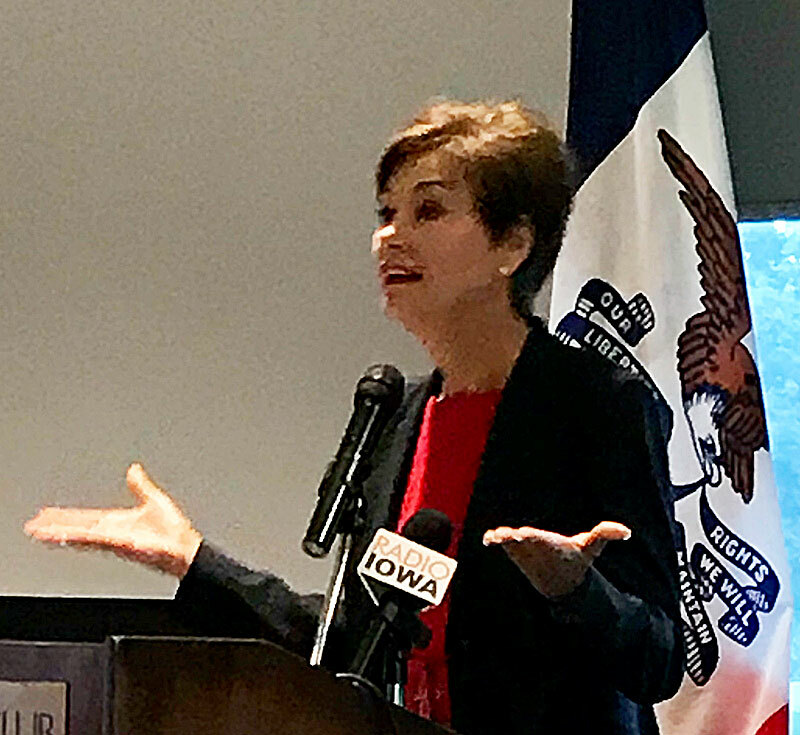 “Then if that’s the case, then we could potentially look at some of those other issues.” Reynolds spoke with reporters this (Friday) morning after a speech at a Des Moines Rotary Club. While Reynolds supports the death penalty, she is not calling for reinstating capital punishment in Iowa in response to Tibbetts’ murder. “As the legislature comes back into session next year, we’ll talk about what our priorities look like at that point,” Reynolds told reporters. Reynolds spoke with Tibbetts’ mother Tuesday and issued a written statement shortly after authorities announced Cristhian Rivera had been arrested and charged with murdering the 20-year-old as she went for a run in her hometown of Brooklyn. Reynolds said Tuesday Iowans are angry about a “broken immigration system” that let a “predator” live in Iowa.